Proprioception is the medical term that describes the ability to sense the orientation of your body in your environment. It allows you to move quickly and freely without having to consciously think about where you are in space or in your environment. Proprioception is a constant feedback loop within your nervous system, telling your brain what position you are in and what forces are acting upon your body at any given point in time. The way that we can tell that an arm is raised above our head, even when our eyes are closed, is an example of proprioception. Other examples may include your ability to sense the surface you are standing upon, even when you are not looking at the surface. If you are walking along the sidewalk, and then turn to walk upon a grassy surface, your body knows how to adjust to the change in surface because of proprioception. Proprioception comes from sensory nerve endings that provide our brain with the information of the limb position. There are specialized nerves in your muscles and joints that communicate with your brain and tell it what position your joint is in and how much stretch or strain in on the muscles surrounding a joint. The nerves surround each muscle bundle, creating a system of communication with your brain about what is happening to the muscles and joints of your body. What Happens When Prorpioception Is Impaired? If you have poor proprioception after an injury or surgery, you may not even notice. But sometimes, impaired proprioception results in difficulty with basic functional mobility. When walking on unsteady surfaces, you may feel like you are about to lose your balance. If your proprioception is really off, you may even fall. Upper extremity injuries may also result in loss of proprioception. You may have difficulty reaching properly, and you may have problems with fine motor tasks that require precision of movement. Progression of proprioception exercises can be done my altering the surface you are standing upon. Try standing on a pillow or piece of foam. Standing with your eyes closed, thus eliminating your visual system, can also challenge your proprioception. When you visit a physical therapist, he or she may assess your balance and proprioception and prescribe exercises to help improve your proprioception. These exercises may challenge your balance, creating situations where you feel unsteady. This unsteadiness is necessary; it helps to improve your balance and proprioception. 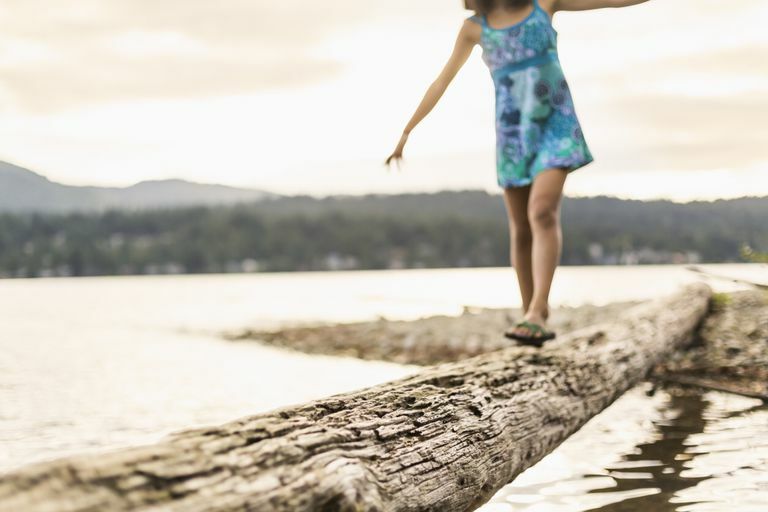 Understanding how proprioception affects your balance and your ability to navigate through your environment may be a key component to your successful rehabilitation after an injury. Proprioception is a complex series of muscle and nerve communications that tell your brain where your body is in space. If you have been injured, your proprioception system may become impaired, leading to altered ability to function properly. Working with your PT can help improve your proprioception and your overall functional mobility. Han J, Waddington G, Adams R, Anson J, Liu Y. Assessing proprioception: A critical review of methods. J Sport Health Sci. 2016;5(1):80-90.